HowStuffWorks “10 Biggest Snowstorms of All Time”. Anyone who’s ever lived in a chilly climate knows snowstorms well. Sometimes the weather forecast gives ample warning, but other times these storms catch us by surprise. Plows struggle to keep roads clear, schools are closed, events are canceled, flights are delayed and everyone gets sore backs from all the shoveling and snowblowing. But there are those rare snowstorms that exceed all forecasts, break all records and cause mass devastation (even if it’s devastation that will melt in a few days or weeks). These storms are the worst of the worst, weather events that seem more like elemental blasts of pure winter rather than a simple combination of wind, temperature and precipitation. Defining the 10 “biggest” snowstorms can be a tricky task. You can’t simply rely on objective measures like the amount of snow. Often, the worst storms involve relatively modest snowfalls whipped into zero-visibility by hurricane-force winds. Some storms are worse than others because they impact major urban areas, or are so widespread that they affect several major urban areas. Timing can play a role as well — a storm during weekday rush hour is worse than one on a Saturday morning, and a freak early storm when leaves are still on the trees can cause enormous amounts of damage. In fact, meteorologists have developed a system similar to the one used to classify hurricanes to measure the severity of winter storms. The Northeast Snowfall Impact Scale (NESIS) takes in account a variety of factors and generates a single number that signifies a storm’s severity, usually on a scale from one to 10 — and sometimes higher [source: Science Daily]. With those factors in mind, here is our list of the biggest snowstorms of all time. This snowstorm was so massive it became a historical event. In terms of storm severity factors, this one had it all: enormous amounts of snow, frigid temperatures, howling winds whipping up monstrous snow drifts — and a widespread area of effect that covered the entire northeastern United States from New England to the Chesapeake Bay, including major metropolitan areas like New York City [source: National Oceanic and Atmospheric Administration]. More than 400 people died during the storm, including more than 100 who were lost at sea. The storm struck in early March and started out as a serious rain storm. From Sunday night to Monday morning, the temperature plummeted and the rain turned to snow. In the end, New York City received 22 inches (56 centimeters) of snow, shutting the city down and causing floods when the snow melted. Other places received much more: 58 inches (1.5 meters) of snow in Saratoga Springs, N.Y., and 45 inches (1.14 m) in New Haven, Conn. Snow drifts as high as 50 or 60 feet (15.2 to 18.3 m) were reported on Long Island, and wind gusts were reported as fast as 80 mph (128.7 kph). The “Storm of the Century” certainly lived up to its name, affecting about half of the population of the U.S. in 1993. In 1993, an early March storm surged up the east coast of the United States, unleashing snow and wind on a wider area than any other storm in recorded history. 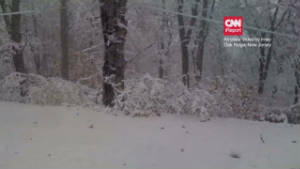 Massive snowfalls were recorded from eastern Canada to Alabama. Parts of 26 states were hit; roughly half of the entire U.S. population was affected, including many large cities [source: NOAA]. Two hundred and seventy Americans were killed. This storm is often compared to the Blizzard of 1888 — in many areas, it wasn’t as severe and didn’t drop as much snow, but it covered a much larger area. This storm broke numerous weather records. A low temperature of minus 12 degrees Fahrenheit (minus 24.4 degrees Celsius) was recorded at Burlington, Vt., while even Daytona Beach, Fla., felt the effects, with a low of 31 degrees Fahrenheit (minus 0.56 degrees Celsius). Birmingham, Ala., received more than a foot of snow (30.5 cm), with four inches (10.2 cm) falling as far south as Atlanta, Ga. Snowfall totals were amplified farther north — Syracuse, N.Y. got more than 40 inches (1.02 m), for example. Mountainous areas in the Appalachians and Catskills got the most snow, with recorded totals of 50 inches (1.27 m) or more. Wind speeds topped 70 mph (112.7 kph) in many places, and topped 100 mph (161 kph) in a few locations. Using storm surge and barometric pressure data, meteorologists say the Storm of the Century was the equivalent of a category three hurricane; it ranked a 13.2 on the NESIS scale. This storm was relatively mild; it covered a smaller area than other major snow storms and didn’t have high winds. In fact, it wasn’t technically a blizzard at all, since the scientific definition of a blizzard requires sustained wind speeds above 35 mph (56.3 kph) and visibility under 500 feet (152.4 meters). But this storm is notable for the one place it did hit: New York City. The weather station at New York’s Central Park Zoo recorded a total of 26.9 inches (68.3 cm) of snow from the storm. That total equals the greatest snowfall in New York City recorded history and breaks a record that had been set in 1947 [source: NOAA]. A group of boys play in the snow in Tibet, site of one of history’s biggest snowstorms. Tibet is known for some of the world’s tallest mountains, including Mount Everest. It gets bitterly cold there in the winter, but the climate is generally very arid. Some passes through the Himalayas remain passable throughout the year because of the low snowfall rates. For that reason, the snow storm that hit Lhunze County in October 2008 was a shock to its citizens. Chinese officials reported an average snow depth of 59 inches (1.5 m). Some villages experienced continuous snow for 36 hours, dropping five or six feet (1.52 or 1.83 m) of snow on the ground [source: China Daily]. The amount of snow was so great that many buildings collapsed, resulting in seven deaths. Roads were closed for days as rescue crews fought to clear them and bring food to people trapped by the storm. The economic effects of the storm were particularly harsh, as many locals were forced to slaughter or sell off large parts of their yak herds, or lost them entirely in the storm’s aftermath. In 1959, a storm dumped a huge amount of snow on Mount Shasta, Calif. The 189 inches (4.8 m) of snow recorded at the Mount Shasta Ski Bowl is the largest snowfall from a single storm in North America [source: NOAA]. However, many believe that 1993’s “Storm of the Century” has eclipsed this mark in terms of the actual volume of snow, due to heavy snowfall across such a massive area. Oddly enough, the storm didn’t have much of an effect on locals. For one thing, residents of the Mount Shasta area were used to big snowstorms, so aside from some delays while they waited for plows to clear the wet, heavy snow, it didn’t affect them much. Also, the bulk of the snow fell away from the communities of Weed and Mount Shasta City, covering unpopulated mountainous areas. Few people at the time even noted that the town had broken the single storm snowfall record [source: College of the Siskiyous]. This March nor’easter (a powerful storm that blows in from the Atlantic Ocean) created classic blizzard conditions throughout eastern Canada, dumping a foot and a half (45.7 cm) of snow on Montreal and more than two feet (61 cm) elsewhere in the region. On top of the snowfall, the storm produced heavy winds that whipped the snow into the air and obliterated visibility. These conditions, combined with frigid temperatures, resulted in more than 20 fatalities. Although many Canadians took the wintry blast in stride — residents of Cornwall, Ontario were encouraged to come to work despite the storm — this blizzard caused a event virtually unheard of in Canadian history: the cancellation of a Montreal Canadiens hockey game [source: Envirozine]. It was the first time that a game at the Montreal Forum had been postponed since the flu epidemic of 1918 [source: LCN]. This dreadful storm stalled over New England for more than a day, dropping up to 4 inches (10.2 cm) of snow per hour. Boston, Mass. and several communities in Rhode Island were hit hardest, but even New York City — located some four hours south of Boston — felt the storm’s effects. Meteorologists estimate snow totals between 1 and 3 feet (30.5 and 91.4 cm), with Boston’s total accumulation of 27.1 inches (68.8 cm) setting the city’s single-storm record [source: NOAA]. Wind speeds measured well over 100 mph (161 kph), causing severe visibility and drifting problems. This storm was worse than most for two additional reasons. First, it struck during a period of high tides, which led to some of the most severe coastal flooding that region had ever seen. Second, it struck in the afternoon. Since the morning had been clear, most people had gone to school and work as usual. The timing of the storm left thousands of people stranded in their cars on roads and highways throughout the area [source: Hurricanes-blizzards-noreasters.com]. This contributed to the storm’s high death rate; more than 100 people died in Massachusetts and Rhode Island [source: NOAA]. The Great Snow was really a series of four storms that struck in quick succession in late February and early March of 1717. No one is quite sure how widespread the effects were, as record-keeping was spotty in colonial New England. Heavy snow was recorded as far away as Philadelphia, but Boston got hit the hardest. That winter had already been a snowy one, with reports of five feet (1.5 m) of snow already on the ground when the Great Snow began. Three or four more feet (91.4 or 122 cm) were added to that total, with drifts reportedly reaching 25 feet (7.6 m), burying entire houses or forcing people to exit from second story windows [source: NSIDC]. Such a massive snowfall would’ve hit hard in any era. But at a time when one could travel only by horseback or on foot, when no method of snow removal beyond a shovel and a strong back was available, and when many small communities struggled in ordinary winter conditions, the Great Snow hit especially hard. Roads were blocked for a week or more, and travel between New York City and Boston was impossible. In fact, there wasn’t really anything that could be done about the roads — except to wait for warmer weather to melt the snow. A modest snowfall and brutal winds averaging 45 mph (72.4 kph), with gusts of 75 mph (120.7 kph) would’ve made for a nasty storm at any time, but an unusually cold and snowy winter had left several feet of packed snow already on the ground. As if that weren’t bad enough, snow covered much of the frozen surface of nearby Lake Erie, giving the wind even more snow to drift and blow. The result was zero visibility and roads blocked by snow. The storm brought intense cold (the temperature dropped more than 20 degrees in just a few hours) and stranded people at work or, worse, in their cars [source: NOAA]. The conditions led to 29 deaths in Western New York and Southern Ontario. Storm effects were felt into Canada and as far east as Watertown, N.Y. Although the city of Buffalo generally gets less snow than other nearby cities and has warmer winter temperatures than many northern regions, this one storm cemented Buffalo’s reputation as the blizzard capital of the United States. In fact, 1977 still holds Buffalo’s record for the most snow in one season — 199.4 inches (5.06 m) [source: NOAA]. 1: The Blizzard of 1967 – Midwestern U.S. The Midwest has suffered through many brutal blizzards and monstrous snow storms. However, many parts of this region are more sparsely populated than the eastern U.S., so the effects of these storms haven’t been as acute. This storm, however, hit not just Chicago but cities as disparate as Kalamazoo, Mich., and Gary, Ind. [source: NOAA]. Snow totals topped 2 feet (61 cm), and winds exceeded 50 mph (80.5 kph). Sadly, the storm left 76 dead — 26 in Chicago alone [source: Chicago Tribune]. It set the record for a 24-hour snowfall in Chicago (23 inches or 58.4 cm). Strangely, the area saw record high temperatures in the 60s and a severe tornado outbreak in the days before the storm hit. For more information on snowstorms and other weather-related events, take a look at the links on the next page. More than 2.4 million without power as Northeast recovers from storm – CNN.com. 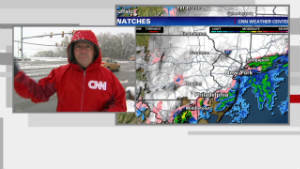 Boston (CNN) — More than 2.4 million people in at least five states were without power early Monday, a day after a rare October snowstorm buried parts of the Northeast under more than two feet of snow. Authorities blamed at least five deaths on the storm. The Massachusetts Bay Transportation Authority, or MBTA, warned riders that the storm could affect Monday morning commute. And with the chilly temperatures and piles of snow, Halloween plans were touch and go for many cities. Worchester, Massachusetts, asked residents to postpone celebrations until Thursday when temperatures are expected to climb to 60 degrees. “Safety doesn’t take a holiday. Halloween tomorrow night will put families and our youth in harm’s way as they negotiate piles of snow and downed limbs,” the city said Sunday night. “I never have seen this and I’ve lived here all my life, and that’s more than 90 years,” 92-year-old Genevieve Murphy of Westfield, Massachusetts, said in an interview with CNN affiliate WWLP-TV. The wet, heavy snow brought down a number of trees, while coating the area in a think blanket of white. With no electricity and no heat, Jessica Taylor took her six children and spent the night in a shelter in the Hartford, Connecticut-area. Early Monday morning, the state’s largest utility — Connecticut Light and Power — said Monday on its website that more than 758,000 customers remained without power. Power crews from across the country are converging on the state to help restore power,” according to Gross, who said every town Connecticut Light and Power service was adversely affected in some way by the storm. Elsewhere, about 202,000 customers were without power early Monday in Pennsylvania; 527,500 in Massachusetts; 275,000 in New Jersey; 286,000 in New York and 191,000 in New Hampshire, according to figures from emergency managers and power companies in those states. Thousands also lost power in Maryland, Virginia and West Virginia. For others, however, the unexpected storm brought unexpected misery. Forty-eight passengers were stuck in an Amtrak train for nearly 13 hours when a rock slide blocked the tracks late Saturday night, the transit service said. A bus was later sent to pick up the passengers. “The noise of the branches when they were falling and hitting the windows, they made us all sit in the aisle seats,” Ann Amphlett, a passenger, told CNN affiliate WHDH. Airline passengers left stranded by the storm spent a restless weekend night on cots or airport floors. Passenger Mara Dhaerman was also stranded in Hartford and said her JetBlue flight, initially from Fort Lauderdale, Florida, to Newark, New Jersey, spent nine hours on the tarmac in Connecticut. Passengers were told the plane was refueling, then de-icing, and that it was going to try to get back to Newark, but eventually a stairway was brought in and firefighters and troopers helped passengers off. She said she received a cot to sleep on about 1 a.m. Sunday. “It’s just very annoying,” she said. Two people were killed Sunday in a crash on Interstate 95 in Philadelphia, CNN affiliate KYW-TV said. 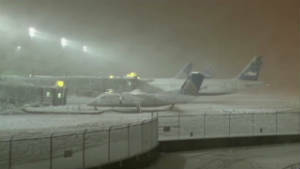 At least three deaths on Saturday were linked to the unusual October snowstorm. An 84-year-old man was napping on his recliner in Temple, Pennsylvania, on Saturday when a part of a large, snow-filled tree fell into his house and killed him, according to a state police report. With numerous downed trees in the area, rescue crews took two hours to safely remove the victim, police said. A motorist died in Hebron, Connecticut, state emergency spokesman Scott Devico said. A third person was killed in Springfield, Massachusetts, when a man in his 20s ignored police barricades surrounding downed power lines and touched a metal guard rail, which was charged, said city fire department spokesman Dennis Legere. The governors of New York, New Jersey, Connecticut and Massachusetts issued emergency declarations for their states. Connecticut Gov. Dannel Malloy said Sunday that some 40 shelters are open, in addition to places where people can go to warm up, take a shower or charge their phones. It was a storm of record consequence, disrupting large swaths of the Northeast in ways large and small: towns were buried in dense snowfalls, closing down streets, schools and even, in some cases, Halloween celebrations. Follow @NYTMetro for New York breaking news and headlines. By the time the great snowstorm of October 2011 finally ended early Sunday, more than three million customers would find themselves without power and with the prospect of enduring several more days without it. In many communities, the storm had a far greater impact on daily life than did Tropical Storm Irene. People emptied stores of generators and chain saws and flocked to town halls to charge phones on emergency power. The chilled and the hungry drove miles looking for a cup of coffee, or for barbecued meat inexorably defrosting in powerless freezers. In Worcester, Mass., a wedding with cranberry dresses and flowers the colors of fall foliage ended up soggy and white. In Glen Rock, N.J., orderly suburban blocks became a maze, with fallen branches draped across nearly every street. At least nine deaths were attributed to the storm, including that of a 20-year-old man electrocuted by a downed power line in Springfield, Mass. Communities in New Jersey, Connecticut, Massachusetts and New Hampshire expected schools to remain closed for several days as they cleaned up downed electrical wires and fallen branches. And in Central Park, as many as 1,000 trees may be lost — eight times the damage suffered after Tropical Storm Irene. But in the most telling sign of how the snow had turned seasons topsy-turvy — throwing an icy and sometimes lethal blanket over trees whose leaves were often still green — the storm threatened to obliterate Halloween. In Hollis, N.H., officials held an urgent meeting at the town hall, where, unlike at their homes, there was heat, hot water and flushing toilets. The emergency management director, Don McCoy, gave them the bad news: He was canceling Halloween until next year. It was too dangerous, he said, for children to meander through total darkness, live wires and fallen branches, and there was no way to know how soon it would be safe. Later, he relented, declaring trick-or-treating merely postponed, until Nov. 5, following the lead of the nearby town of Brookline. “Things should be a little better then, and we hate to disappoint all the kiddies who went out and bought costumes,” Mr. McCoy said. In Worcester, officials asked people not to trick-or-treat until Thursday; in New Canaan, Conn., a Halloween parade was canceled; and in New Jersey, town governments issued 5 p.m. curfews — effectively banning trick-or-treating — by sending text messages to residents on their phones. In New York City, though the storm was less severe, the threat to Halloween reared its head on Saturday during early Halloween events, as children cast off bumblebee antennas in favor of warm hats and hid superhero outfits under coats. The storm swept harder across parts of Pennsylvania, New Jersey, Massachusetts, upstate New York, New Hampshire, Connecticut, Rhode Island and Maine, setting records in some places both for snowfall and power failures. Plainfield, Mass., received 30.8 inches of snow; West Milford, N.J., got 31.4; and Jaffrey, N.H., had 31.4, according to the National Weather Service. More than 12 inches fell at Bradley International Airport in Windsor Locks, Conn. The previous record for the day was less than a tenth of an inch, in 2000, the Weather Service said. Governors in New Jersey, Massachusetts and Connecticut declared states of emergency. Gov. Andrew M. Cuomo of New York declared an emergency in 13 counties. According to state governments and utilities, at least three million customers lost power. More than 400,000 customers lost power across New York State at the storm’s peak, and most remained without electricity at midday Sunday, with the greatest damage in Westchester, Putnam, Rockland and Orange Counties. Power failures hit 650,000 customers in Massachusetts, 10,000 in Rhode Island, 280,000 in New Hampshire, more than 400,000 in Pennsylvania and about 500,000 in New Jersey. Gov. Dannel P. Malloy of Connecticut said more than 750,000 homes in the state were without power, breaking a record set in August when the remnants of the tropical storm passed through. People trudging through stores in search of sold-out supplies had little time to meditate on climate change. They talked more about how recent storms — the ice storm of 2008 in New Hampshire and Tropical Storm Irene in New Jersey — had prompted them to buy generators and left them better prepared. But scholars began marshaling their arguments to remind people that single storms, no matter how dramatic, say little about overall climate patterns. Robert Stavins, an economist at the John F. Kennedy School of Government at Harvard, said a surprise winter storm no more disproved climate change than a hot day in August proved it. But larger patterns of extreme storms and precipitation, even if accompanied by cold snaps, support the theory of global warming, he and several climate researchers said, because warming oceans are sending more moisture into the air. The storm may be a death knell for apple-picking season at Hager Brothers’ small orchard in Shelburne Falls, Mass. With temperatures expected in the teens, “that’ll probably be the end of what we can pick off our trees,” said Bethany Miles, who was working at the orchard store. The wedding of Christine and Ryan Hubbard on Saturday night in Worcester — with pumpkins and flowers in warm, deep colors — was aiming for a crisp autumn look but ended up with an aesthetic that was more frigid slush. “If somebody looks at our wedding pictures, they’re going to think that we got married in December,” Ms. Hubbard said. To the north, the lights went out on Saturday night as Ryan Thibeault of Hollis, N.H., blew out the 16 candles on his birthday cake. Ryan’s mother, Pauline, found mittens for the partygoers, and everyone made do, figuring the darkness made for a seasonally spooky setting. “We sat in the hall in the dark laughing and ate cold pizza by candlelight,” she said. She was less amused on Sunday morning, when, bundled up in a parka, she trekked 25 yards through the snow to a lake to fill a bucket. The water was needed to flush the toilets. More threatening problems were downed wires and precariously hanging branches. In Sherman, Conn., Jerry Ryan, a lead electrician for Connecticut Light and Power, was working to restore equipment damaged by a tree, using a hand-held voltage detector that lights up if a wire is live. Kathy Johansen, working at Woodbury Pewter in Woodbury, Conn., said she had a scare when she was stuck in the snow. Just as a passing snowplow driver was scooping out an escape route, a giant tree crashed within inches of her car. Malloy added that authorities have left it up to municipal officials whether or not to postpone Halloween celebrations because of the storm.